An oil of light flavour and texture, suitable for all culinary purposes. 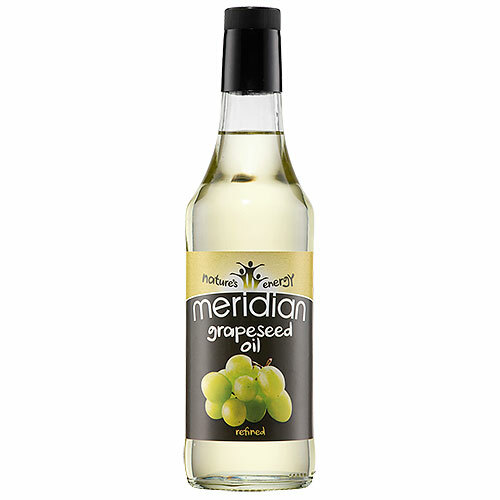 Grapeseed oil is prepared from grape seeds and a solvent is used to extract the oil. The oil is then filtered before being steam de-odourised. The temperature and vacuum conditions in the de-odourisation process guarantees the total absence of solvent in the finished product. Below are reviews of Meridian Grapeseed Oil - Refined - 500ml by bodykind customers. If you have tried this product we'd love to hear what you think so please leave a review.